There is so much information on the internet that really, it is hard to sometimes know where to start. We have put together a few key places for you to start your search. Once you feel you have an understanding from using these sites, you will be more confident in discriminating the information that is useful to you. MHFA Australia. We are licensed to run the course on behalf of this organisation. There website has great information including guidelines that could be useful. 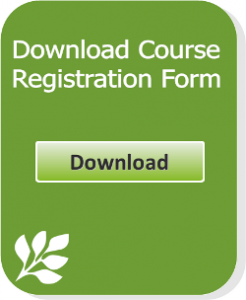 If you attend a course the manual you receive as part of the course has alot resources in it. We will give you some go tos to get you started. 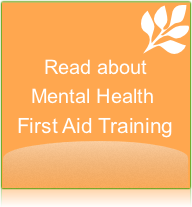 Go to www.mhfa.com.au and look in the resources tab. Guidelines have been developed for each of the crisis situations discussed in the course. Beyond Blue has wonderful information on Anxiety and Depression and along with Black Dog Institute are Australian sites that are preferential. 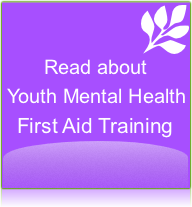 Sane Australia also have great resources relating particularly to Psychosis.